Acquisition consistent with Spark's strategy to be the no. 1 provider in the fast-growing cloud market in New Zealand. Spark New Zealand has signed a conditional agreement to acquire privately-owned South Island based IT infrastructure and professional services company Computer Concepts Limited (CCL) for $50 million. The acquisition is designed to add momentum to the growth strategies of Spark Digital and CCL, improving their capabilities, expanding their market reach and deepening the Spark New Zealand group’s cloud and platform IT services offer. “We’re pleased to have a cloud services company with the track-record and reputation of CCL joining our team and strengthening our market-leading capabilities,” says Tim Miles, CEO Spark Digital. Miles says the acquisition is consistent with Spark New Zealand’s strategy to be the no. 1 provider in the fast-growing cloud market in New Zealand. “This acquisition builds on the earlier purchases of Revera and Appserv, and with CCL now in our group we are better positioned to assist New Zealand business needs in the areas of platform IT services and cloud computing,” he adds. 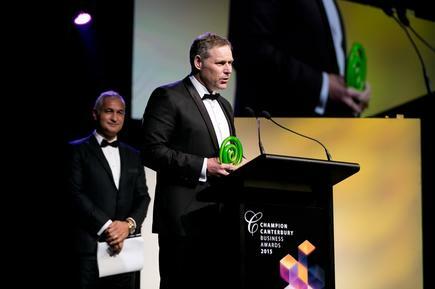 Founded in 1990, CCL provides ICT solutions to a variety of clients, from some of New Zealand’s largest and most complex organisations, to smaller local businesses. Read more ​Is Google now causing public cloud pain for AWS, Microsoft and IBM? “This is a big move for us,” adds Andrew Allan, CEO, CCL. “With Spark New Zealand’s backing, CCL will gain the benefits of Spark Digital’s resources to help us accelerate our growth. According to Miles, CCL is a “respected and admired business” that Spark wants to strengthen and grow, not change. As a result, Miles says the CCL brand will be retained and CCL will continue to run as a standalone business. “In the same way that Revera does,” he explains, “which has proven to be a very successful model for Revera staff and customers. The acquisition will take the Spark New Zealand group’s employee numbers in the South Island to approximately 1,200 people.